2018 was a darned good deer hunting year. We had a few disappointments, but had a lot of great days to offset them. 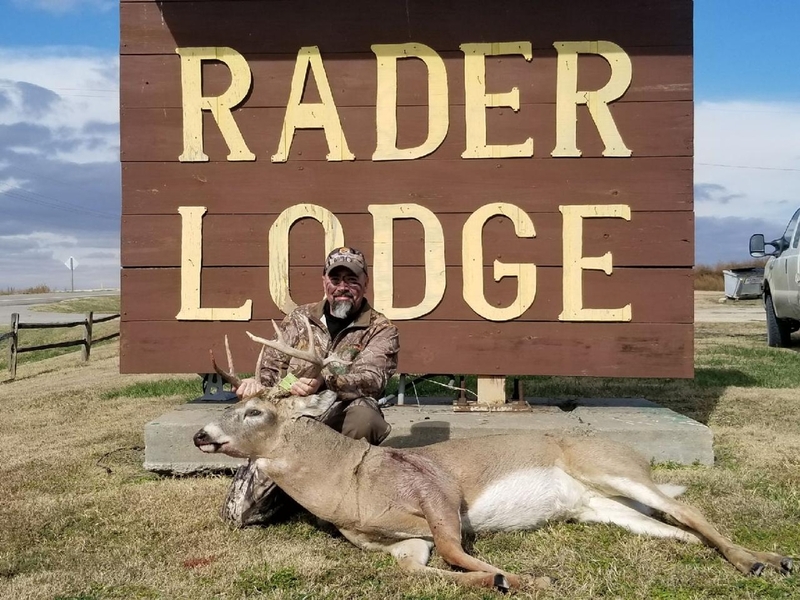 The Rader Lodge rifle season opened with rut still rolling and lead us to our must successful season ever at Rader Lodge. During the first split of rifle season, we killed 13 bucks for 14 hunters The second split, we went 5 bucks for 8 hunters. Many deer in the 140 class and some in 150 class. Greg Norton killed a biggie. Dan Rader with a buck he has been watching for 3 years. Don and Dave Lathrop, twins who shot their deer only 1 hour apart! Snow deer retrieval at Rader Lodge! Bob's nice Rader Lodge whitetail buck. Stu and Sarah had a great time sharing a outdoor adventure together at Rader Lodge! The bowhunting was decent overall but wasn’t at the peak of the success we’ve seen in years past. We had a bunch of guys that didn’t draw tags in our first split of rut. Which just left a few hunters in camp who shot a couple of really great bucks. The 2nd split saw them on lockdown, however we still had plenty of opportunities. Bowhunting can be a game of inches and saw us connect of few giants (160+) that we couldn’t end up tracking down and getting our hands on. Keith Rogers took this great buck. Congrats. Rut is kicking on here. Should be a fun 2 weeks. We will keep the buck updates coming. Seth Cole from Mississippi took this Whitetail stud by stalking him in CRP grass!